You were asked if you believe the alleged corpses in the picture were gassed, what is your reply? Did you just delete a few posts here? Yes, I did. They were just 'yes it is', 'no it isn't' silliness. Would you please give us your proof for the alleged gas chambers, how the alleged 'gas chambers' worked, and show us the alleged human remains. And please,. do not just post a link and say 'here it is'. We want to read what you have to say. 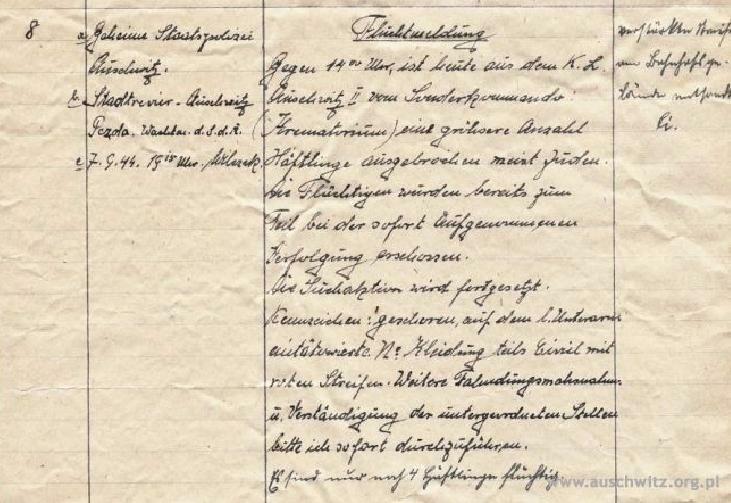 Hannover wrote: Would you please give us your proof for the alleged gas chambers, how the alleged 'gas chambers' worked, and show us the alleged human remains. And please,. do not just post a link and say 'here it is'. We want to read what you have to say. Why should I repeat this when Pressac wrote an 500+ page book about this? Read it, especially part 2, chapter 8 where Pressac presents 39 proofs for the existence of homicidal gas chambers. Kladderadatsch wrote: On the other hand, however, the anomaly must indeed be explained, convincingly, before anyone can be required to accept the two strands of evidence (testimony, picture) together as mutually confirming. They clearly contradict one another in fact, so while one or the other may be true, both cannot (though both can be false). There is no contradiction. The picture is black-and-white and blurry. We don't know how large the red crosses and how wide the red stripes should be. Red, in particular, would hardly be visible on the dark trousers. There is something on the back of the guy in the middle, though. Besides, even if made in oil paint, dirt can easily cover up the markings. So it is no surprise if they are not visible in a blurry black-and-white photo. There is no contradiction to resolve. So the innuendo of reading something into documentation, which isn't really there doesn't really work. You claimed in this thread that the corpses in the picture were gassing victims, you were challenged to essentially prove that. State your case for the alleged Auschwitz 'gas chambers' or leave the thread. And no, a link to the thoroughly discussed Pressac will not do. We want you to tell us. Here's an opportunity to refute Revisionists, I should think you would relish the opportunity to try. You are welcomed to start a separate thread if that is better for you. Welcome to a forum where dodging is not permitted. The point of the red crosses is supposed to have been to make members of the sonderkommando immediately visually identifiable. If this is correct, they would not have been allowed to have been covered up by dirt. Moreover, if the cross were covered up by dirt the entire back of the man would appear dark (which it doesn't). Tonal variation is visible in the back of the guy in the middle, but it's not clear that it's a cross - shadow appears to be in play, and the upper left portion of the cross seems to be simply a dark dot. 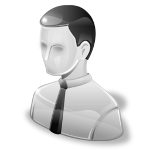 The image of the man in question also shows anatomical peculiarity and poor detail (in contrast with other parts of the image). Considering also the peculiarities in the images of the corpses, it seems certain that this portion of the image has been retouched, so even if a cross were visible on his back it would prove little. This photograph, which shows considerably more detail, clearly shows the lack of crosses on the back of at least one sonderkommando member. One of David Olere's drawings shows the cross on the back of a sonderkommando member, so this story dates back to 1945. As Kladderadatsch has already stated, the issue is not decisive, except that it encapsulates the total incoherence and contradiction resulting from the thoroughly credulous and uncritical approach to witness testimony upon which the holocaust story is based. Moderator wrote: Sorry Friedrich, I disagree. Only because I was asked, and you urged me to answer it. It does not belong in this topic. You as a moderator should know that. Sorry, you were challenged on your own conclusion made in this thread in regards to the alleged 'corpses' in the image under discussion, there is no dodging challenges here. What's it going to be? Your explanation of the alleged gas chambers, or leave the thread? Your call. friedrichjansson wrote: ... This photograph, which shows considerably more detail, clearly shows the lack of crosses on the back of at least one sonderkommando member. Photograph? This looks like thorough surreal pencil or coal drawing to me. Not even a very good one. Are they really passing this as photography? I understand that there is a bigger higher resolution version of this. Perhaps anyone can place it? Hektor wrote: ]Photograph? This looks like thorough surreal pencil or coal drawing to me. Not even a very good one. Are they really passing this as photography? I understand that there is a bigger higher resolution version of this. Perhaps anyone can place it? 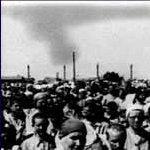 I took it from the documents of Mattogno's Auschwitz: Open Air Incinerations. Gegen 1400 Uhr ist heute aus dem K.L. Auschwitz II vom Sonderkommando (Krematorium) eine größere Anzahl Häftlinge ausgebrochen meist Juden. Die Flüchtigen wurden bereits zum Teil bei der sofort aufgenommenen Verfolgung erschossen. Die Suchaktion wird fortgesetzt. Kennzeichen: geschoren, auf dem l[inken]. Unterarm eintätowierte No. Kleidung teils Civil mit roten Streifen. Weitere Fahndungsmaßnahmen u[nd]. Verständigung der untergeordneten Stellen bitte ich sofort durchzuführen. Es sind nur noch 4 Häftlinge flüchtig. Verstärkte Streife zum [vom?] Bahnhofsgelände entsandt». Towards 14.00 hours today a larger number of detainees belonging to the Sonderkommando (crematory), mostly Jews, escaped from K.L. Auschwitz. Part of the escapees were shot during the pursuit, which was commenced immediately. The search operation continues. Dinstinguishing marks: cropped hair, number tattooed on the l[eft]. lower arm. Clothes partly civilian with red stripes. I request that you urgently notify subordinate agencies and carry out further search measures. 4 prisoners are still on free foot. Send a reinforced patrol to the station area». In this case they must be...100 years old?